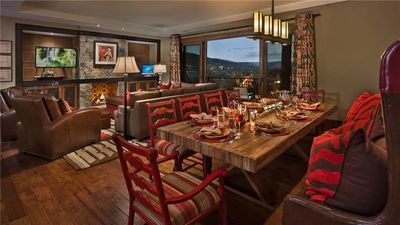 Welcome to Canyon Creek A104. 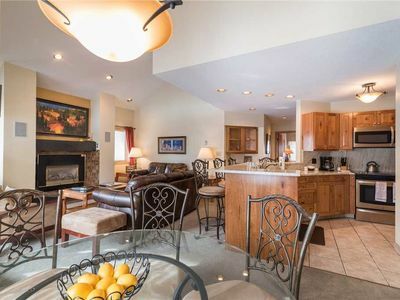 This is a great 4 bedroom, 3 bathroom condo. 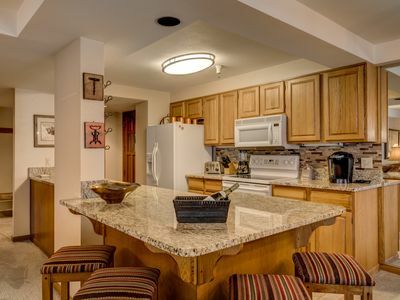 The kitchen comes fully stocked with everything you'll need to prepare your home cooked meals.It also features a dining area large enough to seat 6 adults and a breakfast bar for those meals on the go. 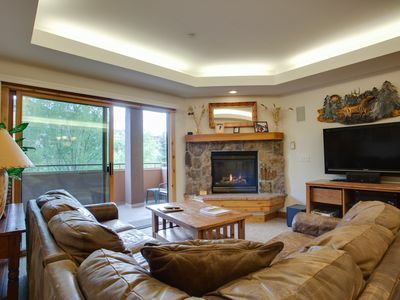 The living room is comfortably furnished, and is complete with a cozy gas fireplace. 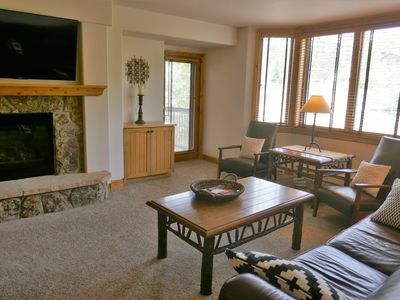 Enjoy the view of the mountain from the private balcony, or a nice evening in, with a choice of 5 televisions, DVD player, and of course free WiFi. 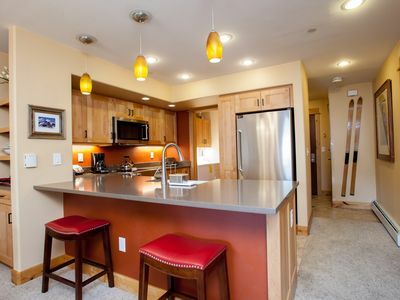 This condo also has a washer and dryer for your added convenience. 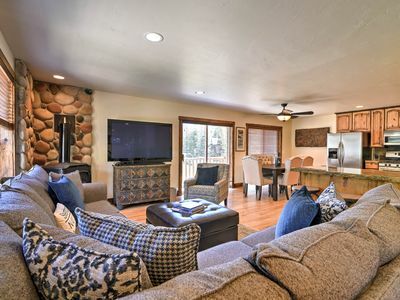 Enjoy a King size bed in the master bedroom, complete with a full bathroom and double vanity. 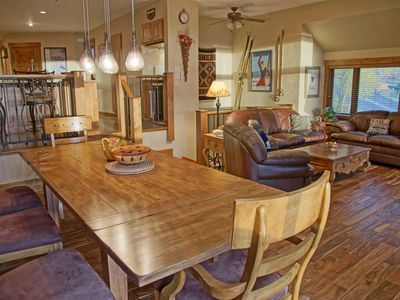 You'll find a Queen size bed in each of the second and third bedrooms, and two twin beds in the fourth bedroom. Additionally, there are a shared full bathroom for your convenience. 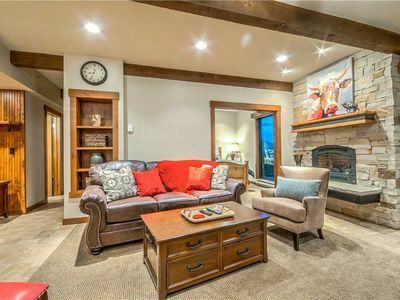 For added sleeping space, there is a sofa sleeper located in the living room. 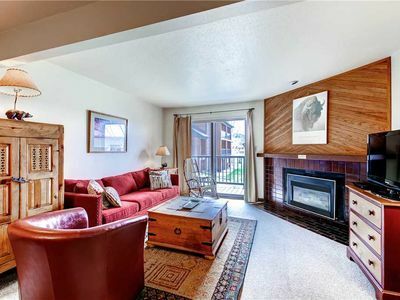 Escape to Canyon Creek Condominiums in Steamboat Springs. 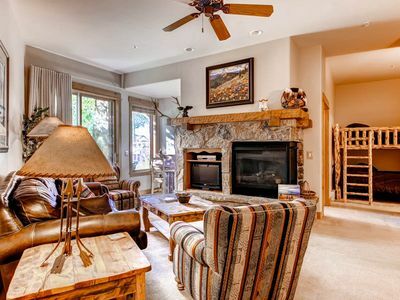 Located just a short walk from the base of the Steamboat Ski Area, Canyon Creek offers 2, 3 & 4 bedroom condo options located in two building. 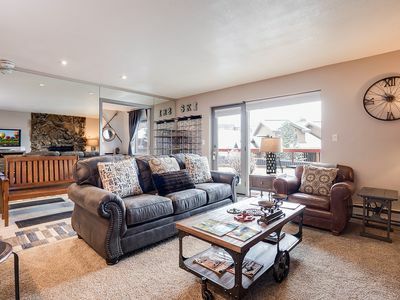 Each home features fully-equipped kitchens, living areas with gas fireplaces and large covered balconies to enjoy the fresh air, no matter the weather. Free Wi-Fi and parking is standard at all of our properties. 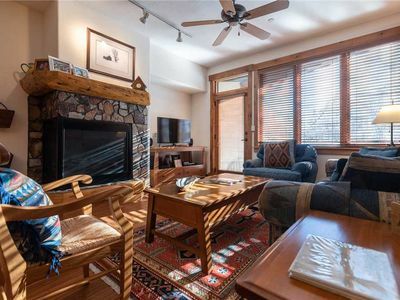 The property boasts some excellent amenities centrally located between the two buildings. 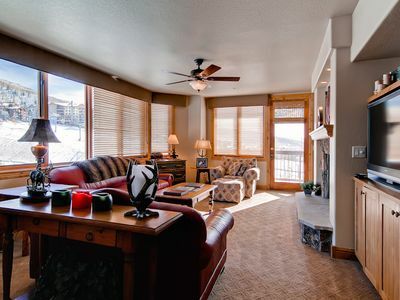 There is an on-site front desk, fitness room and outdoor heated pool with large hot tub. 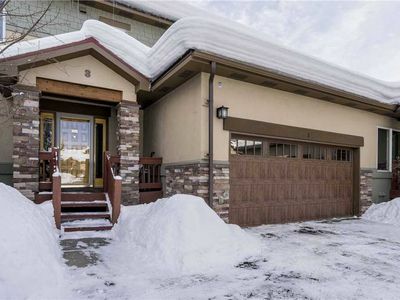 Each building has underground heated parking, so you don't have to go out in the elements getting from your car to your condo if you don't want to. 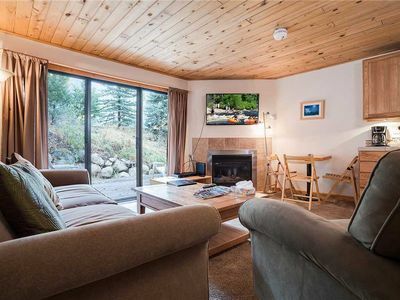 In the winter, park your car in the garage and get around on our shuttles. Guests please note: Pets are not permitted at the Canyon Creek. SKI To Your Door! 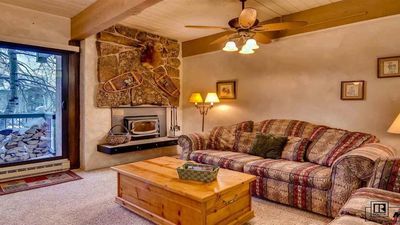 Affordable Mountain Luxury. Ground Level. Bring your Family! 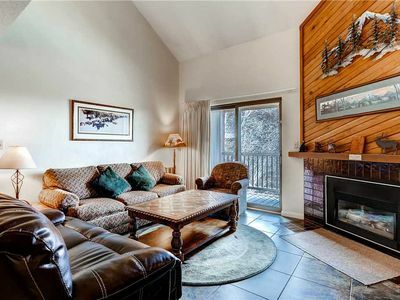 Beautiful Condo Just a Short Walk from Slopes for a Great Ski Vacation! 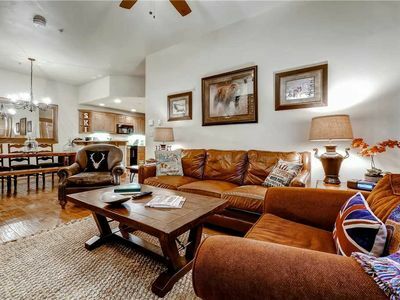 Charming Condo w/Onsite Pool, Fitness Center, Winter Shuttles & More! 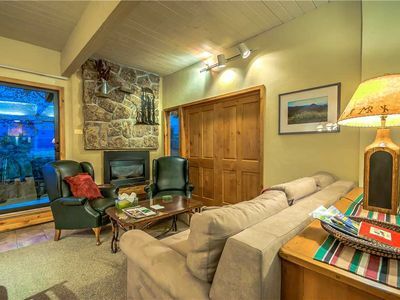 Updated Home - Minutes to Steamboat Ski Resort! NEW! 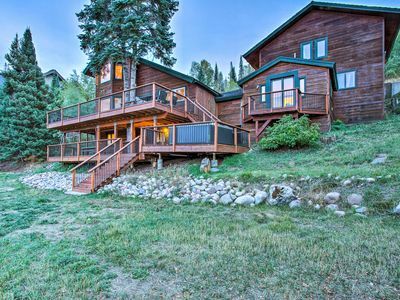 Renovated Steamboat Home w/ Views & Hot Tub!